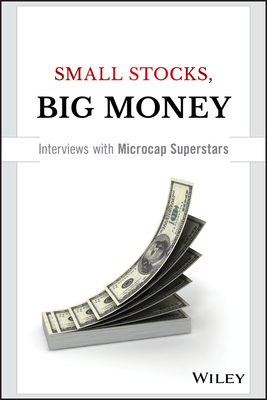 Small Stocks, Big Money provides first-hand perspective and insider information on the fast world of microcap investing. In a series of interviews with the superstars of small stocks, you'll learn how to discover the right companies and develop a solid investment strategy with a potentially big payoff. Each chapter includes a short bio of the investor in question, and provides key insight into the lessons learned from the investments that made them millions--or in some cases, hundreds of millions. You'll learn each investor's top stock picks, and how they originally chose the investments that became their gold mines. Whether you're a professional investor or a novice, this book is a unique and valuable source of information for anyone interested in the volatile world of small stocks and big money. The smaller the company, the bigger the risk--and the bigger the potential payoff. These interviews show you how to avoid or mitigate those risks, and how to choose the stocks with the best potential from the perspective of those who have done it very, very successfully. Taking a risk on a small company can lead to tremendous gains when they become an industry giant. The trick is in choosing the company that is likely to follow that trajectory, and allocating your investment appropriately to protect yourself in case of disaster. Small Stocks, Big Money gives you a head start by teaching you what the pros wish they knew then. DAVE GENTRY is the CEO of RedChip Companies Inc., an international investor relations, media, and research firm focused on smaller-cap stocks, as well as founder of The RedChip Money Report, a weekly financial news show broadcasted on Fox Business, Bloomberg Europe, and Bloomberg Asia. He has been a consultant to more than 400 public and private companies and is a nationally recognized thought leader in the microcap sector.